In this post, I review The Messenger Is the Message: How to Mobilize Customers and Unleash the Power of Advocate Marketing. It’s getting harder to grab the attention of B2B buyers. Between meetings and putting out fires, they barely have time for the core part of their job – let alone the time to engage with your brand. So, how can you stand out from the pack and engage today’s time-strapped customers? B2B buyers ignore most marketing, as they’re not interested in annoying sales pitches. Instead, they turn to their peers for recommendations. Research has shown that 84% of B2B decision makers begin their buying process with a referral. If you want to get noticed by customers, you must find a way into their inner circle. But your new sales brochure isn’t the way in. Instead, you’ll need an army of customer advocates who will promote your content and recommend you to others. To learn more about advocate marketing, I recently read The Messenger is The Message: How to Mobilize Customers and Unleash the Power of Advocate Marketing by Mark Organ and Deena Zenyk. When you make your advocates happy, they will recommend you to others. For example, they will write five-star reviews, send you referrals, serve as references, share their success stories, and much more. In fact, you can think of advocates as an extended version of your sales and marketing team. You likely have lots of customers who are willing to recommend you to others. You just need to reach out to them. 1. Listen to your advocates. A lot of B2B marketing pushes sales messages out to customers – whether or not they want to hear them. Advocate marketing flips this upside-down by putting the focus on the customer. Instead of telling customers what to buy, you listen to them to find out what they want. The book states that listening to your community is the key to bringing them on board. 2. Value your advocates’ time. Your customers are busy people. If you want them to take time out of their day to advocate for your company, you must make their experience worthwhile. 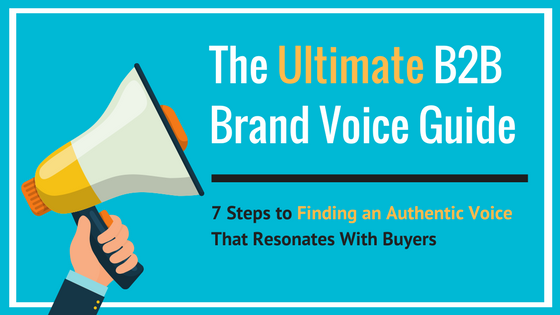 The authors recommend that you give advocates something new and relevant every time they interact with you. For example, you can offer them educational opportunities that will help them become superstars at their jobs. You can also give them incentives – such as swag or a VIP experience. And be sure to thank them when they advocate for you. A handwritten note can go a long way in showing advocates that you value everything that they do for you. 3. Harness the power of social proof. The first time that I heard about Facebook was when a friend sent me an invite to the site in 2007. I didn’t know anything about Facebook but thought that if my friends were joining, I should also join. By inviting me, my friend was giving the social network his stamp of approval. I also saw that many of my other friends were active on Facebook, and I wanted to keep up with what they were doing. This is how online communities grow. Your advocate community may only start with a handful of people. But as they share their great experiences with friends, it will grow rapidly. Share testimonials from your advocates. Encourage influencers to create content about your advocate community. Highlight your current members when you promote your advocate community to new members. Give potential advocates a sneak peek of the conversations that are happening in your community. This principle of reciprocity also applies to advocate marketing. The authors recommend that you give something to your advocates before you ask them to do stuff for you. And for the best results, make your gifts personal and unexpected. Small rewards can include a gift card for a cup of coffee from Starbucks or a $5 donation to charity. You can offer larger rewards as advocates spend more time with your program. The authors suggest that you stagger these rewards at random times, not just after someone completes an advocacy task. It’s OK if your advocate community has slow periods. In fact, you should plan for them. You can use this time to build relationships with advocates, so you can learn more about who they are and what they want. Then, when you launch your next advocate marketing campaign, you will have a better idea of what challenges and incentives will motivate your advocates to take action. How Can Advocate Marketing Work for You? If you harness the power of your advocates, you can generate referrals, retain more customers, and make your marketing awesome. Do you have any opportunities to engage your customers and build a thriving advocate marketing community? To learn more, read ​​​​​​​The Messenger is The Message: How to Mobilize Customers and Unleash the Power of Advocate Marketing.